With the iPad’s messy type skills, Stephen Coles wonders if Apple cares about typography anymore. industries are exciting and real. 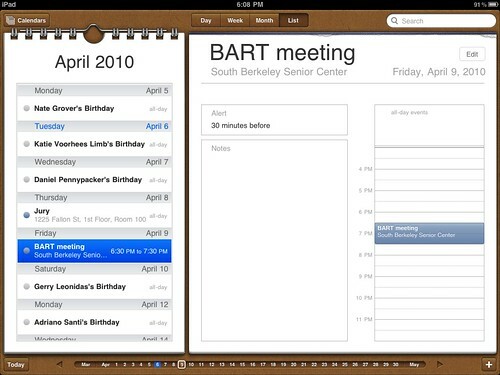 that reveals what’s missing on the iPad: good typography. 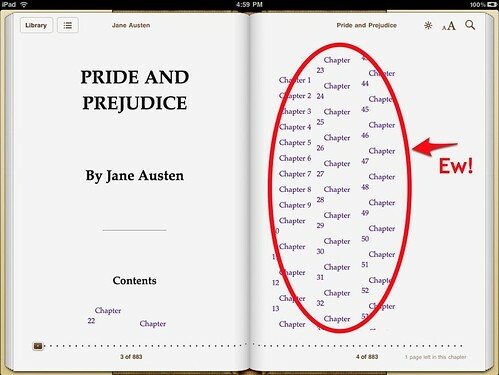 unnoticeable decisions that make text easier and more enjoyable to read. and implemented, the announcement was disappointing. complete families designed specifically for the screen. especially when small. It was a classic style-over-substance decision. display in such a narrow column widths. 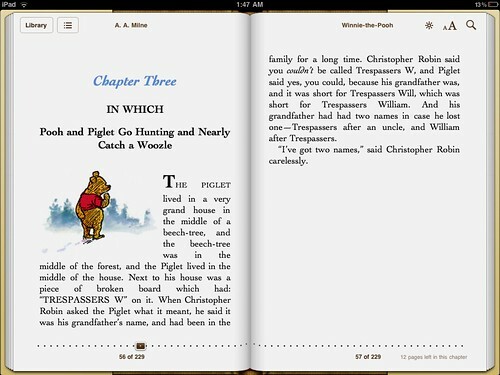 interested in seeing publishers improve the standard of ePubs. its low stroke contrast and slab serifs serve the Kindle very well. 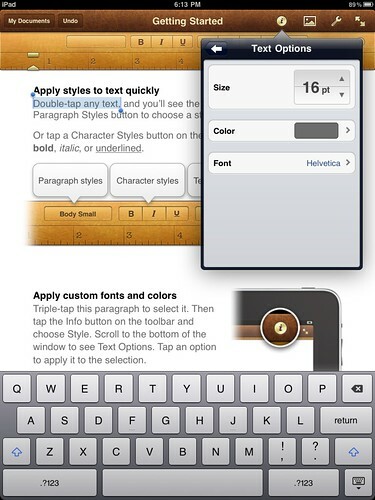 the other hand, which shines at small sizes, isn’t included on the iPad. single point up or down. It’s all surprisingly un-Mac-like. on a solution, but its not ready for prime time. 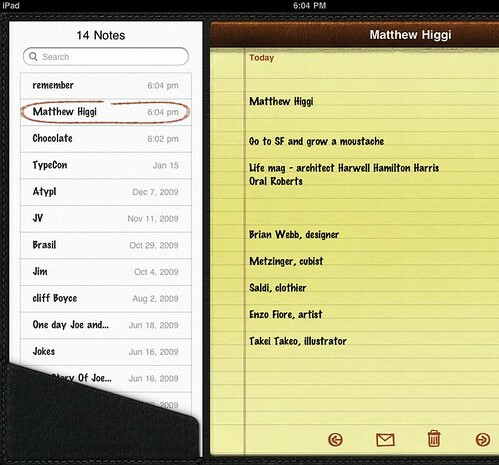 The Notes app on the iPad is still stuck in silly Marker Felt land! On April 8, Apple held an event to preview iPhone OS 4, the next version of the operating system that runs the iPhone, iPad Touch, and iPad. 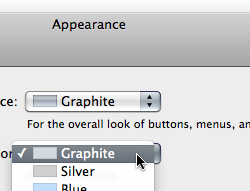 I prayed to Lord Jobs that there would be nuggets of typographic improvement in that announcement. My prayers were unanswered. Of course, it could be that the small details–though important to typographers and, typically, to Apple–aren’t really stage presentation material. I hold out hope that some of the “100+ New User Features” and “1500 new APIs” in iPhone OS 4 do address some of the issues above. With so many manufacturers, publishers, designers, and developers following Apple’s lead, the state of typography in a world of digital media may depend on it. Republished with permission from The FontFeed. Stephen Coles is a designer and writer based in San Francisco. His obsession with type and lettering wreaks havoc in his daily life where he is routinely tripped by fire hydrants while admiring vintage signs. Fortunately, his freakishness found a home at FontShop where he writes about their collection and advises clients on typeface choices. When he’s not waxing poetic about new fonts, Stephen publishes the blogs Typographica and The Mid-Century Modernist. He is currently dating FF Tisa after breaking off a long and passionate affair with Motter Femina.